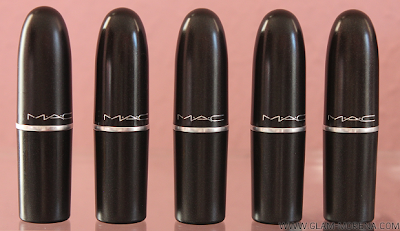 Glam Morena: MAC Retro Matte Collection. I wanted to share a few lipsticks that I have been obsessed with lately. 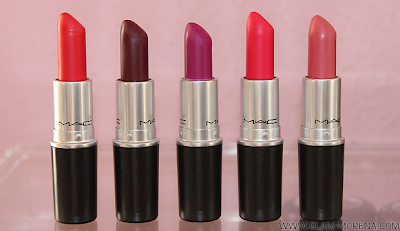 They are the MAC Retro Matte Lipsticks. 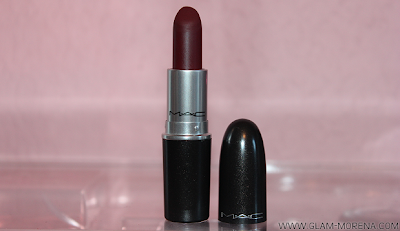 I first tried this formula out in the RiRi Hearts MAC Collection and I instantly fell in love! 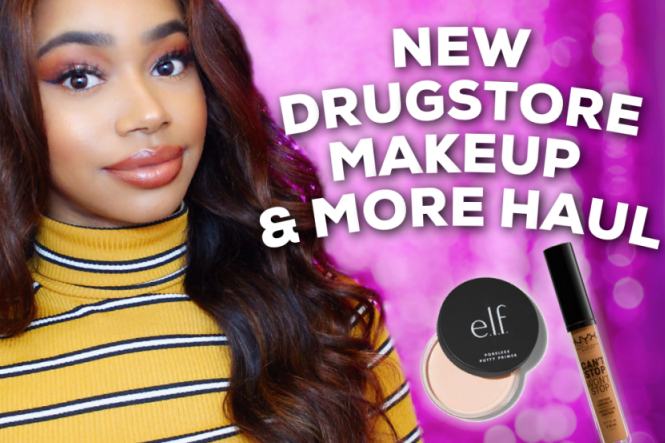 I was super excited that MAC released an entire collection of Retro Matte Lipsticks last month. 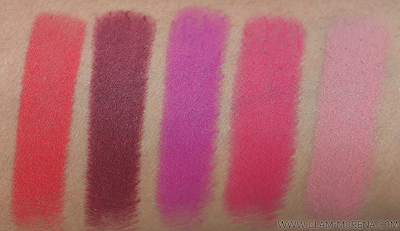 Along with the lipsticks MAC also released more shades of the Pro Longwear Lip Pencils. This is a permanent collection that includes 4 limited edition shades. Description: Inspired by Ruby Woo's overwhelming popularity and one-of-a-kind texture, M•A•C introduces new bold shades in its Retro Matte finish. Eye-catching colours like Dangerous and All Fired Up create a look that's fiercely feminine. M•A•C also premieres Pro Longwear Lip Pencils in a vibrant colour palette, giving this long-lasting and transfer-proof lip pencil an exhilarating makeover. 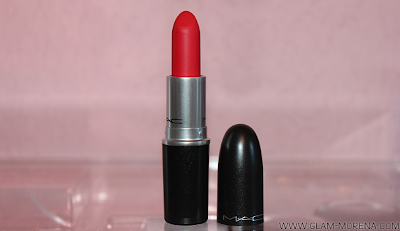 Dangerous, Fixed On Drama, Flat Out Fabulous, Relentlessly Red, and Runway Hit. 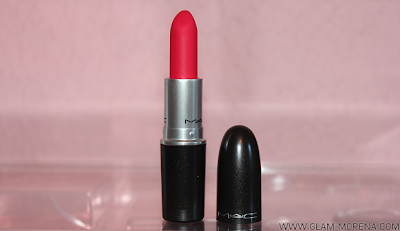 Have you tried the Retro Matte Lipsticks? If so, what are your favorites? The retro mattes are gorg! I have 3 of them and I want to get 2 of the limited edition ones before they're gone. I think I saw them on Nordstrom. love Flat out Fabulous and Fixed on Drama! I absolutely love the Relentlessly Red! It is that true strawberry-red to me! Love the colors. 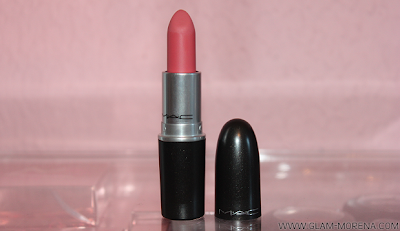 I didn't purchase any of the Retro Matte's, but I'll be looking for them at the MAC stores now.